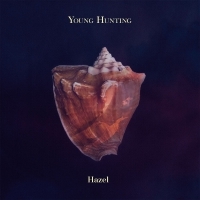 Los Angeles quintet Young Hunting's debut full-length album "Hazel" begins with gentle, lush dream pop and ends with stark, desolate gothic folk. 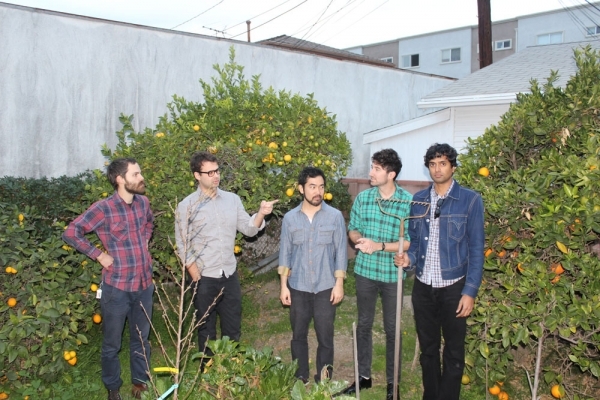 The record, inspired mostly by failed affairs, a divorce, and life in the shadow of LA's show-business culture, took the band two years to produce. After Olympia, Wash.-based K Records distributed the self-released "Into Yr Mind/Sonata" seven-inch record in Sept. 2010, Young Hunting (Hari Rex & Ilya Mxx on vocals and guitar, Patrick Taylor on bass, and Miles Senzaki on drums) embarked on a brief West Coast tour. Around the same time, the band began recording a full-length album while sporadically leaking finished songs ("Rust", "Sweet Bird", "Maze") to a small handful of supportive journalists. 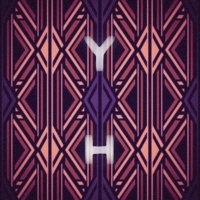 Praise from YVYNYL, I Guess I'm Floating, Disco Naivete (Belgium), No Fear of Pop (Norway), MagicRPM (France) as well as mentions in LA Weekly and LA Times kept the band's profile up while they secluded themselves to write, record, and mix the rest of the record; the band performed live fewer than a dozen times over the span of two years. Primary songwriters Hari and Ilya first met in 2007, quickly bonding over a shared appreciation for Nick Cave, Jason Molina, Can, and the classic California pop of the 60s and 70s. Tracks for "Hazel" were recorded in various locations around Southern California, including a former ranger's station in the Angeles National Forest, Grandma's Dojo studio in LA's Koreatown, a rented one-bedroom desert house outside of Joshua Tree, and living rooms, garages & guest houses in Echo Park.